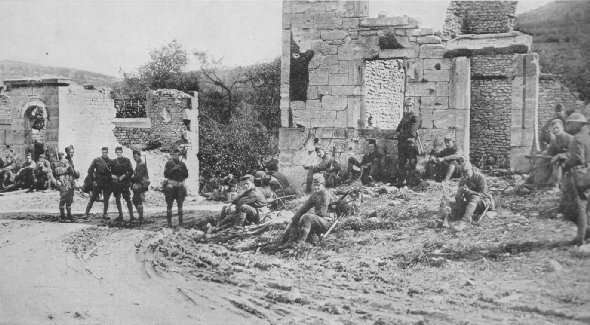 This is the town of St. Remy where the men of Company F, U. S. Engineers, are taking a ten-minute rest before resuming the grueling march under heavy pack to the front. Enemy shells have destroyed every building in the town. The graves of two American soldiers who were buried where they fell. 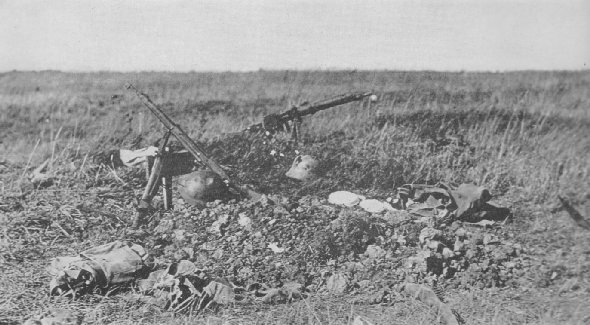 This photograph shows vividly the battlefield as it was before the debris of war was cleared awayGerman helmet, rifles, machine gun and equipment.